If you are wondering why I'm holding up a pink cowboy hat its because tonight heralds the return of Dallas. I'm sadly old enough to remember Dallas, the American soap based around the tale of the Ewing family from the first time round. As a little kid I was fascinated by the evil JR, the tragic Sue Ellen and the ever perky (and big breasted) Pamela, however I had all but forgotten about the series until whilst waiting to have my daughter six years ago (and looking like Id swallowed a medicine ball) I discovered re-runs of it on UK Gold. 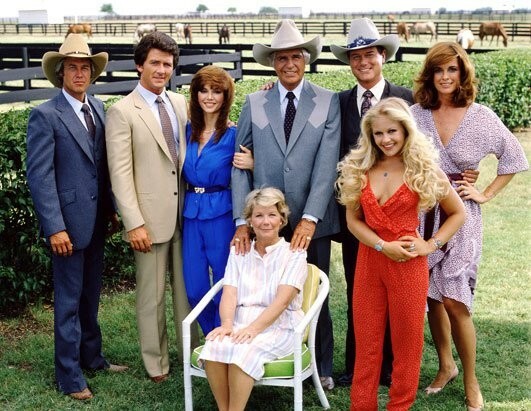 Dallas is on Channel 5 tonight at 9pm.